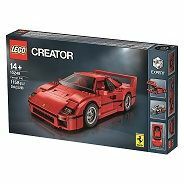 LEGO® Ferrari F40 (10248 RRP £69.99): Just like the legendary original the replica super sports car features a bright red racing body, sleek aerodynamic lines and distinctive rear spoiler. Inside the LEGO® Ferrari F40 is two red racing seats and a steering wheel, complete with Ferrari logo. 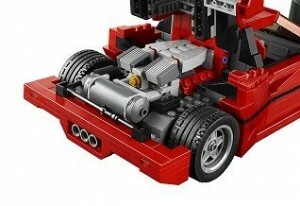 Below the lift-up bonnet lid, there is the luggage compartment with a toolkit. A special windscreen element with printed A-pillars and tailor-made, cast wheel inserts with road-going tyres give this meticulously emulated model the final touches. 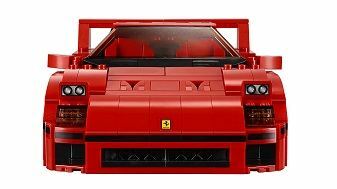 The LEGO designers’ attention to detail continues in the lift-up tailgate with vents, V8 engine with two turbochargers and quick release function, flip-up headlamps and side air louvers. 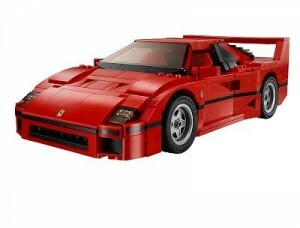 Available from at shop.LEGO.com and in LEGO stores nationwide. For exclusive news, events, experiences and early access to sets including The Ferrari F40 sign up to become a LEGO VIP at shop.LEGO.com.